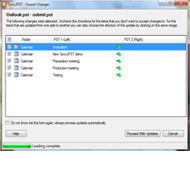 Synchronize Microsoft Outlook PST files between multiple PCs without a server using an external USB device or shared network folder (LAN), and a shared PST file. 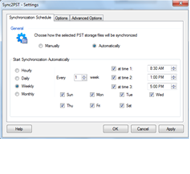 Set automatic synchronization or sync PST files manually. 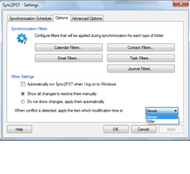 Set synchronization Options: configure filters for Calendars, Contacts, Emails, Tasks and Journals and other options. You can see all the changes found during the synchronization. 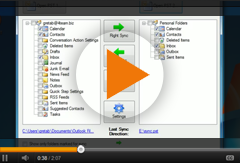 You can check or uncheck items you do or do not want to synchronize. 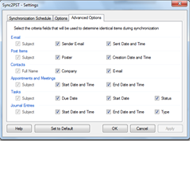 Select the criteria fields that will be used to determine identical items during Synchronization.